Finding employment and earning a living are two of the fundamental tasks of young adults. That’s why they spend many years preparing for this task by educating themselves and learning different skills. However, this doesn’t necessarily mean that children cannot, must not, earn for themselves. 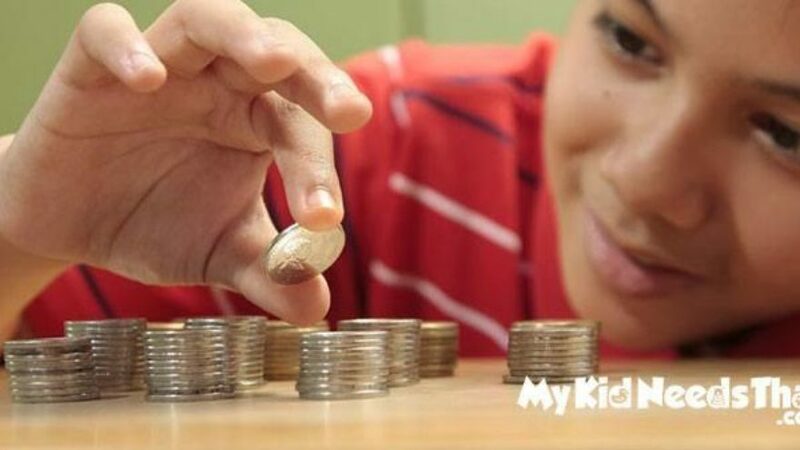 Today, the earlier children are able to learn the various concepts of money management, the better they will be in managing their finances as adults. We can teach our kids simple ways to earn money so they’ll learn these values early on. Here are 5 ways kids can make money. Sell toys and stuff that they have outgrown. Unless you are going to mold a collector out of your kid, chances are, he or she already has an impressive collection of toys, play sets, and other childhood items. If these playthings and other stuff are no longer being played with by your child or that they are already collecting dust somewhere in your shed or basement, maybe it’s time to let these things go. If the toys are still in pristine condition, they can be sold online or maybe to other kids who may still have a need for such items. If the item has achieved a collector’s status, it can actually net a handsome price. For example, vintage action figures and dolls have been known to sell for several thousands of dollars. These are bought by avid fans that collect such items. If the toys are no longer usable yet may contain some parts that may still be of some use, the junkyard or scrapyard would be an excellent marketplace. Play games and create and publish videos of gameplays. If you have a child who is a whiz kid and loves playing computer video games, why not tap this talent and monetize it? There are a number of young kids who have their own YouTube channels followed by millions. What do they post? Their video game plays, of course. What they do is they play their favorite games then create videos of it. They record their game play then add some very interesting voice over narratives. Some would even provide tips, cheats, and hacks to fellow gamers so they will be able to navigate and complete the missions of the game as well. The good news is that your child will actually love doing this. Technically, this is what we would like our kids to learn. We would want them to understand that finding success in your work is all about doing the things that you love. It is all about finding what you are passionate about and doing what you can to excel in your chosen field. The earlier kids realize this, the more successful they will be as adults. If you like the idea of this, then make sure you check out our kids video game category. Blog and communicate to fellow kids. Kids love to hear from their fellow kids. Sometimes, even parents want to listen to things about children from the viewpoint of children themselves. It’s one thing to read an article about children written by adults and it’s an entirely different matter again if the article was written by a kid. This gives parents an idea of what children think, what they want, and how they wish their lives were a little more different. If your kid has a knack for writing, he or she can create a blog, have it published, and let his or her follower base grow. Earning money this way may take time before your child sees the fruits of his or her labor. However, just like creating and publishing a gameplay video, once the follower base has sufficiently grown, things will start looking brighter. Along with it is the economic reward. There are many resources online on how your kid can start a blog of his or her own and how this can be turned into a money-making activity. It’s also fun as your kid gets to interact with other children as well as parents from all over the world. Offer house-sitting services and other similar services. Don’t have a kid who’s into computers or video games? Don’t fret. If your kid is old enough, he or she can offer house-sitting services to your family friends who may be going on a vacation. Instead of leaving their home unattended, they can opt to get the services of your older child to stay in the house and be the guardian of the property while the homeowner and his family are away. If you have a kid who loves pets, especially dogs, he or she can offer dog-walking services. Busy folks would be glad to pay your kid for the time spent on walking their dogs. It’s not because they don’t want to but rather they don’t have the time. They do realize the need of their pets to exercise and play. Getting someone walk their dogs helps provide for this canine need. Your child must love dogs, however. He or she must know also how to handle these pets. Master this task and you can have a steady stream of clients calling for a dog-walker. Bake cookies and other goodies and sell it to friends. Children love cookies and other baked goodies. You can teach your child how to make and bake such delicacies and then he or she can sell these to his or her friends. Not only will your child be earning some money but he or she will also be learning one of the most important activities of daily living: cooking. It is even entirely possible that your kid will sell these goodies online by creating his or her website, posting it in online classified ads, or even integrate it in his or her blog. Obviously, your kid will be learning a lot of skills which should help him or her to grow into a much better person. It’s never too early to teach and help our kids understand the basics of money management which, unfortunately, starts with earning money. The point is that if our kids know how to persevere and how challenging it can be to earn a living, then they will value whatever they have.